Speakers are devices that carry audio messages as well as designated evacuation tones. 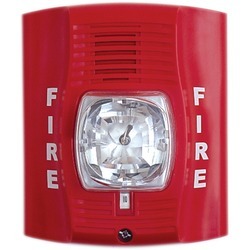 They are commonly used on highrise buildings that require different messages to various floors during the alarm and/or evacuation sequence. They also allow command center personnel and fire dept personnel to give instructions using the voice/evac system.